Keighley Peace, Justice and Environment Network will be holding a vigil on Monday 10th December, 11am – 12noon, outside Keighley Bus Station. 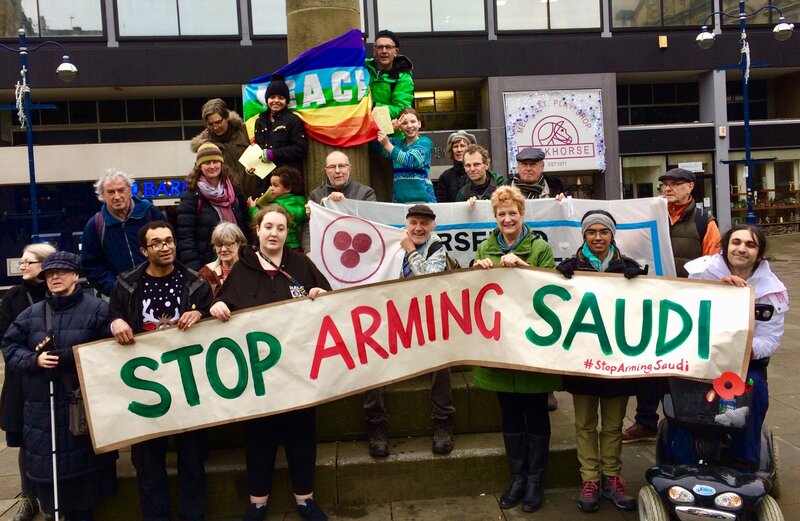 The vigil will remember the thousands of people who have been killed in the war in Yemen, and to protest the UK’s ongoing supply of arms to members of the Saudi-led coalition. The war has left millions at risk of starvation.